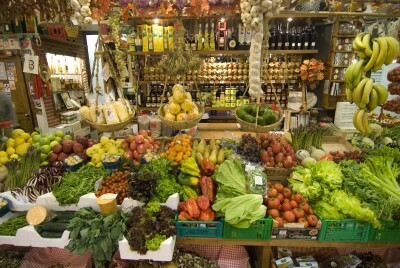 A visit to Florence markets allows the visitor an opportunity to experience daily life and become part of it: colorful and noisy a stop at a market makes your day. The first and most important reason to visit a market is to see, taste and buy food: gourmet, organic but most of all a lot more typical and local than a supermarket or the brand stores. In Florence the two larger daily markets date back to the XIX century when the old market of Piazza Repubblica was demolished in order to build modern and hygienic structures, but on many squares of the city you will find a daily morning market and on weekends flea markets, craftsmen or farmers’ markets take place and generally the updated schedule is available at the tourist offices. Central Market at San Lorenzo. 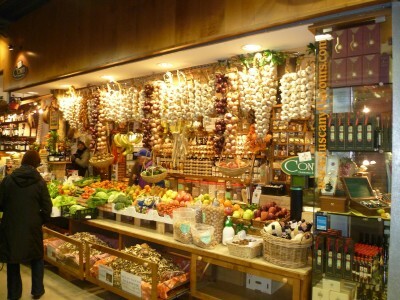 The central market is the most important covered market built in XIX century Italy. It was designed by Giuseppe Mengoni in 1869 (Mengoni was an early archistar having designed the Gallery in Milan). It was first opened in 1874 as greenhouse for tropical plants for the International Horticultural Exhibition and Botanical congress. The structure of the market was realized using modern materials such as glass and cast iron, while the support is made of column and arches in traditional pietra serena and great windows allow natural light to enter creating the atmosphere of an open air market. Today it is a place beloved both by tourists and locals looking for bargain prices, quality and fresh food, with areas dedicated to fish, meat and vegetables. The variety of wares has increased with fresh pasta, traditional trippa (Florentine tripe) and some stalls offer tastings of oils and vinegars. It is definitely worth a detour not just for shopping: have a coffee or enjoy lunch in an authentic and inexpensive location. The market is on via dell’Ariento, with different entrances only in the morningMonday to Friday from 7am to 2 pm. Saturday from 7 am to 6 pm. Closed on Sundays and holidays. The top floor reopened after renovations and hosts restaurants and wine bars for all tastes. The Mercato centrale is open everyday until midnight! Another project by Mengoni the market of Sant’Ambrogio was built in the – then just opened – Piazza Ghiberti, once again mixing glass, cast iron and wood. The trattoria inside the market is a beloved lunch (only!) spot for the university students and workers in this area: you really can mingle with the locals here, and taste some typical Florentine specials, and wine is charged “a consumo”, by how much you drink from the flask. The market is on piazza Ghiberti and is open from Monday to Saturday 7am-2pm, Weds and Fridays until 7pm. 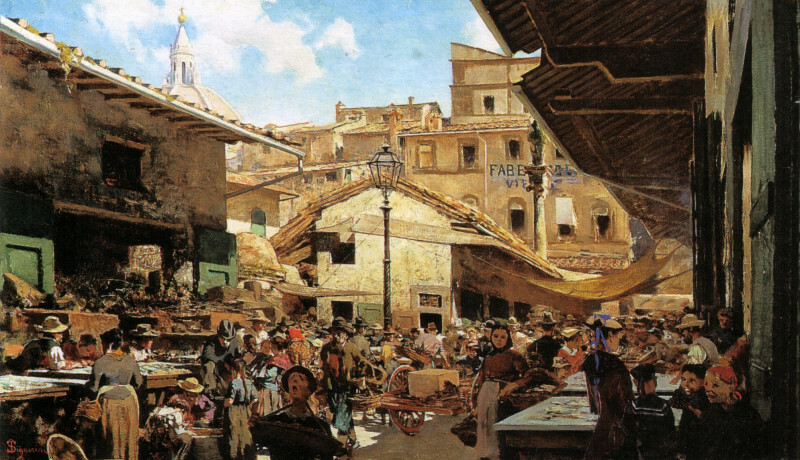 The flea market, I Ciompi. 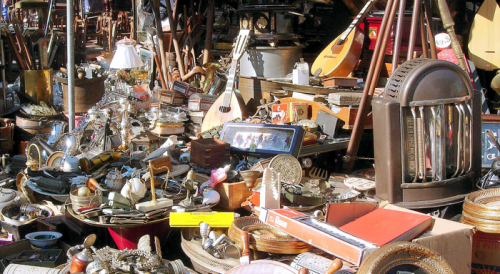 If you wish to travel back in time with objects reviving past atmospheres and the good old times the flea market is definitely a must. You can find furniture, coins, ancient books, prints, vintage jewelry and clothing. Of course it takes some time to dig patiently among the great amount of paraphernalia but if you are lucky or just curious you can still find little treasures and unique gifts. The last Sunday of every month the market hosts extra stalls and vendors in the side streets. The market at the Cascine. It is by far the largest and most convenient market of Florence and it is located along the Arno river by the Cascine, the largest park of the city. It is really comprehensive: clothing, shoes, used and vintage, housewares and incredible varieties of food. During your market stroll you can stop for a porchetta (roasted pork with tons of pepper, sliced) sandwich, or take a break in the park after shopping. The market is held weekly at the Cascine, every Tuesday from 7am to 2 pm (within easy reach by tramway from the railway station).